By considering the practice of globalisation, these essays describe changes, variations and innovations to Chinese food in many parts of the world. 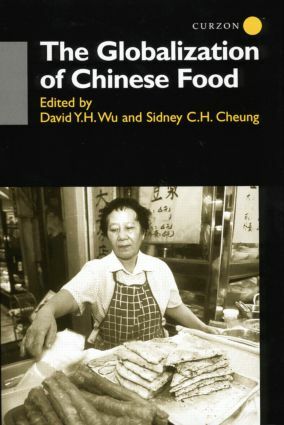 The book reviews and broadens classic theories about ethnic and social identity formation through the examination of Chinese food, providing a powerful testimony to the impact of late 20th century globalisation. David Y.H. Wu received his anthropological training in Taiwan, the United States and Australia, and has carried out field research in China, Taiwan, Southeast Asia and the South Pacfic. Sidney C.H. Cheung received his anthropological training in Japan and has carried out field research in Japan, Hong Kong and Fujian.